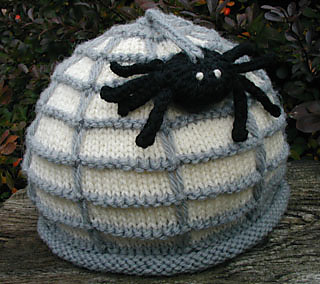 A cute little spider adorns this easy knit web patterned hat. 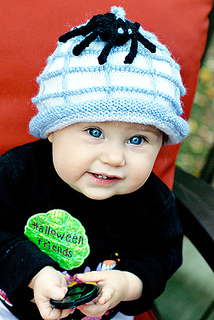 Pattern is written in 3 sizes. Finished head circumference - 16.5 (18.25, 20)“.